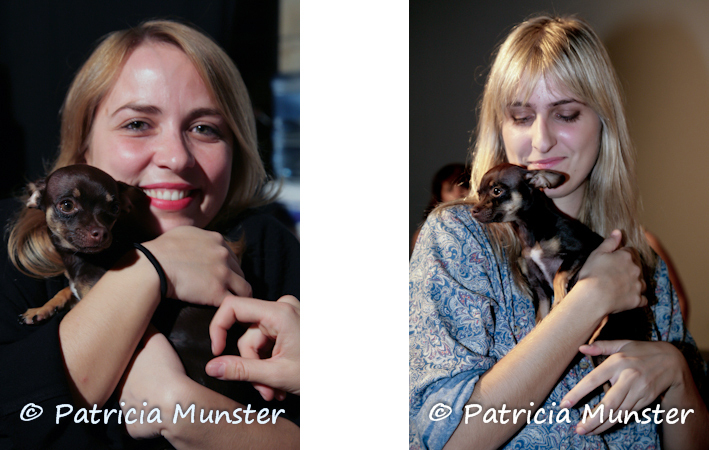 Patricia Munster 12:13:00 PM Daphne Iliaki, Delight, Evi Retziou, Six D.O.G.S. 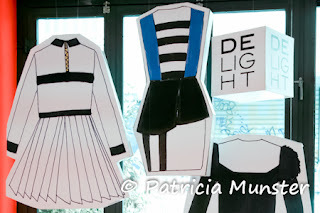 In a small street near Monastiraki Metro Station Evi Retziou and Daphne Iliaki, the designers behind DElight opened for a few days a little shop to present their collection. The shop window is decorated by designs of their wintercollection 2010/2011 and the walls are decorated with drawings of the designs. The shop at Six D.O.G.S. Tomorrow, the 31st of December is the last day that they will be open from 12.00 to 18.00 o'clock. To have an impression of their collection, visit my website http://www.patricia-styleandimage.gr/DelightX10/index.html. You will be able to meet the designers but I am not sure about the mascot who was supporting them during the last fashion show. Such a cute dog....Delight Rock!!!!!!!!! !